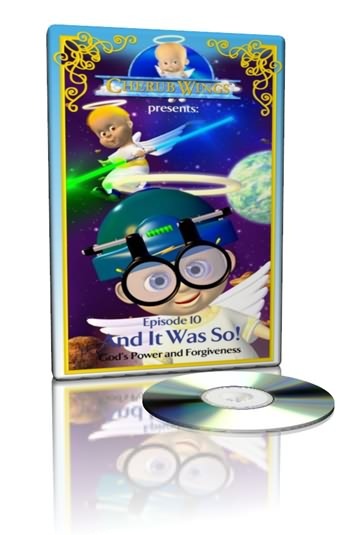 In this episode of Cherub Wings, a rousing space-chase in cherub chariots topple Cherub and Chubby into an awesome awareness of God’s mighty power! Children will see the ultimate act of forgiveness in the crucifixion and will marvel at the power of God in the resurrection. They will learn that by accepting Jesus’ gift of forgiveness, they can receive him as Savior. This program shows how we can benefit from God’s daily presence in our lives. • “God Said It and It Was So!”: a song about God's power!